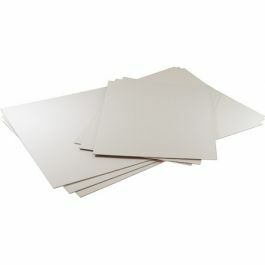 Bainbridge® Clay Coated Foam Board is available in a wide range of popular sizes to mount your creative work and photos. The FOMC1319 foam board measures 13" x 19" and is 3/16 inch thick. 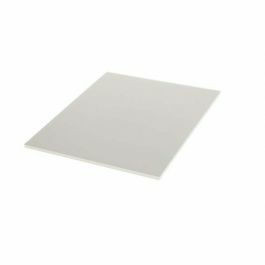 Ideal for non-archival mounting and framing, this foam board is easy to cut and can be used for photos, craft projects, posters, marketing materials, and more. The surface is clay coated for an extra smooth surface and cuts crisp and clean edges with a sharp craft knife or mat cutter. Create a chic gallery of family photos or artwork. This sturdy yet lightweight board offers an impressive display for boardroom presentations, school projects, or coffee shop decor. Outer Dimensions: 13" x 19"
Provides a non-archival mounting surface for a 13" x 19" product.